There are so many renderers available out there, and how does an artist know what to choose? Essentially, renderers really do the same thing. However, they work differently will give different results. Below is a breakdown of what the different renderers offer, not reviews, so you can decide which renderer is right for you. Note: Update log is at the bottom of the page. This article is difficult to put together, and as a result, there is a lot of information to digest. Indeed, I hope this will be a highly used resource. My goal was to create a document to help artists decide which renderer is best for their work while presenting only facts… no opinion… so that users can compare. This comes with a lot of terminologies of which you must have a basic understanding. First, I’ll go over some terminology, then a comparison chart of some criteria with renderers. 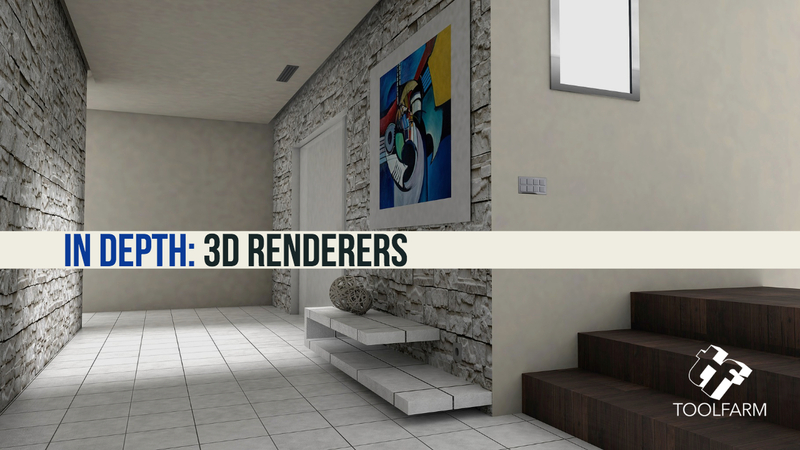 Then a bit more about each 3D rendering engine with some videos. Note: This is a living document. We are focusing on rendering tools that we sell at Toolfarm to help our customers make the choice. By the same token, as we add new tools to our store and products are updated, we will update this article. Disclaimer: There is a vast amount of information here and updates come out so often. We will try our best to keep it updated, nonetheless, some information may not be fully correct or may be out of date. Please let us know if something isn’t correct so that we may update the article and/or product information. Note: Pricing and system requirements are accurate as of the publishing of this article. We will keep this document updated when we get around to it. Please check for current versions. We’re going to go super basic and barely scratch the surface here. so make sure that you see the “Further Reading” list below if you want to know more about each term. Some 3D renderers will utilize the GPU instead of the CPU, which can mean faster renders, but the downside is that GPUs are limited to the amount of VRAM or video memory. Many renderers are hybrid and use both the CPU and GPU. Roberto Blake gives a great overview of whether you should choose GPU or CPU rendering. Biased means that the renderer will estimate values, or do a bit of educated guessing using mathematical functions, and not calculate every single pixel. The benefit is that it’s much faster. The downside is that the results may not be absolutely accurate. Unbiased, on the other hand, means that every pixel is calculated with no interpolation between pixels. Biased rendering methods include light tracking, path tracing, bidirectional path tracing, and metropolis light transport. Many renderers are capable of producing both unbiased and biased renderers. Should your renderer be biased or unbiased? Octane vs Corona vs Redshift has a nice explanation of biased vs unbiased. While this video is targeted to Cinema 4D, much of the information applies to any other 3D software. Monte Carlo methods for improved rendering – This is an academic paper from the Institute for Applied Computational Sciences, Harvard School of Engineering and Applied Sciences. Embree, developed at Intel, is a collection of high-performance ray tracing kernels. Hence, it is explained in the video below from Intel. Many renderers use Embree ray tracing kernels. In addition, V-Ray Next includes a custom Embree ray tracing library “which speeds up anything from proxies to motion blur.” [Source: Interview: V-Ray Next and the Future of Rendering – CG Channel] FluidRay RT, Corona Render, and others also use it. Finally, Physically based rendering, often abbreviated PBR, uses mathematical theories that allow for photorealistic renderings. PBR Guide from Allegorithmic – Wes McDermott and his friends at Allegorithmic have updated The PBR Guide, a 2 volume guide to physically based rendering. In order to keep pace with evolving 3D technology, they are keeping the information and techniques in the book up to date. Of course, it’s available as a free download on Substance Academy. 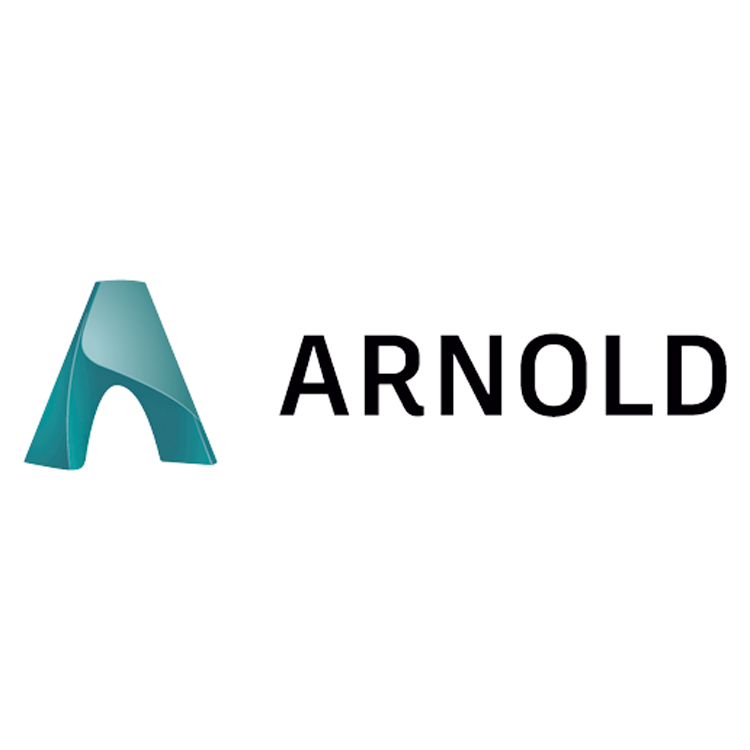 Arnold software is an advanced Monte Carlo raytracing renderer. Undoubtedly, it’s designed for artists and for the demands of modern animation and visual effects (VFX) production. 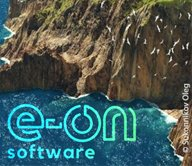 License Options: Subscription, Floating, Multipacks, and maintenance plan renewal for perpetual licenses. New advanced high-performance renderer for 3ds Max, Cinema 4D, and other platforms. Corona Renderer delivers high quality, physically-based shading in production rendering. All its features are tightly integrated into Autodesk 3ds Max. Cycles is an unbiased GPU/CPU render engine developed by the Blender Foundation and made available under the Apache 2 licensing system. 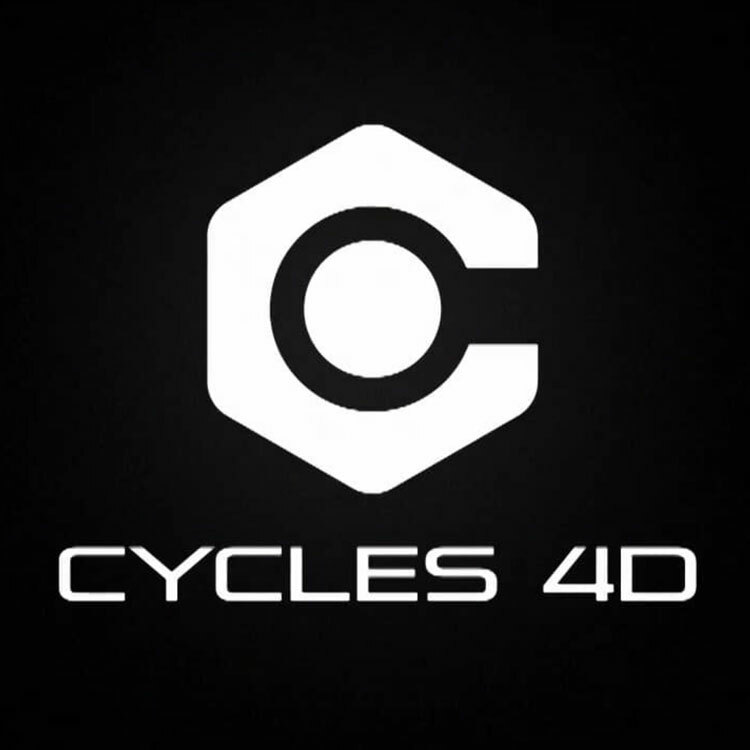 Additionally, Cycles 4D is a dedicated bridge plugin allowing Cinema 4D users to access the Cycles rendering engine directly inside Cinema 4D without the need for an external application. With Insydium’s own real-time preview and fully featured node editor, along with our eye for detail and quality, Cycles 4D is the ultimate render companion with unparalleled access to X-Particles. trueHybrid™ technology – bringing the power of CPU and GPU together! finalRender for 3ds Max is the perfect choice for 3d artists and studios alike wanting the maximum in image quality and photo-realism, without experiencing a brain melt when setting up complex scenes for rendering! And no compromises. Current release version: 3ds Max v4.2 (Subscription Drop 2), released 4 December 2018. *because the release is 3 years ago, it may not be compatible with current releases of hosts. Please download the trial version and test it on your own system before purchasing. KeyShot is a stand-alone, real-time ray tracing and global illumination program used to create 3D renderings, animations, and interactive visuals. With its CPU-based architecture, photorealistic real-time rendering can be achieved on both Mac and PC, even on laptops, without the need for high-end graphics cards. 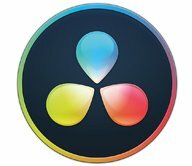 KeyShot supports more 3D file formats than any other rendering software, importing over 25 different file types. It has a simple user interface with drag-n-drop material and environment presets, interactive labeling, texture mapping, physical lighting, animation and much more. 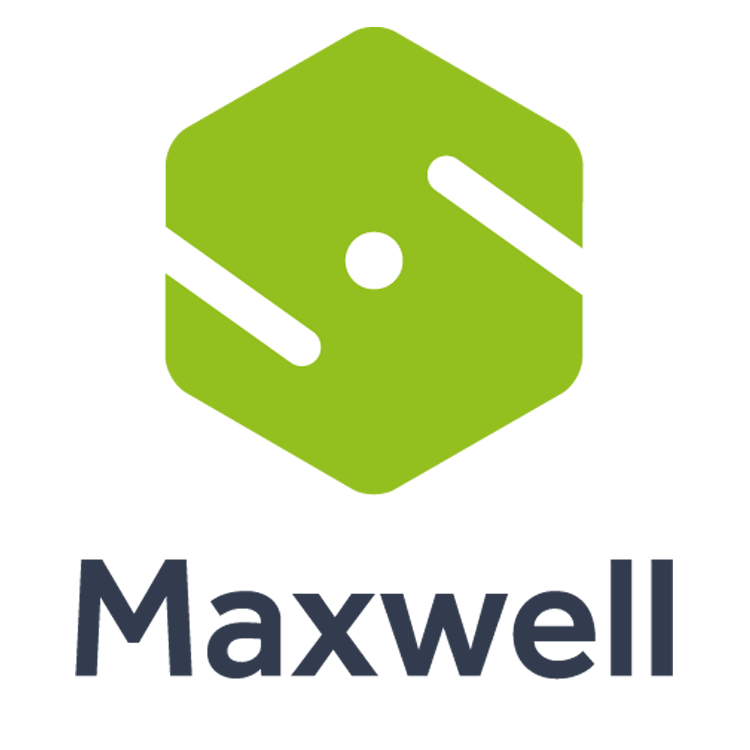 Maxwell is legendary for its quality and realism and delivers great results via a simple set-up, which lets you focus on lighting. Now, Maxwell easily integrates a powerful denoiser (by Innobright’s Altus), while preserving texture and geometry details, effectively saving a lot of time. You can obtain your images around two to six times faster, depending on the scene for a similar amount of detail. Instead of having to render your images to a high sampling level, you can keep it low and let the denoiser do the job. While there doesn’t seem to be official support for Blender, there are some tools that you can try. I have not tried either of these so these links are informational. License Options: Redshift is licensed per-machine with no limit on the number of GPUs*. No distinction is made between workstations and render nodes; 1 license is good for 1 machine. License Options: This is still in beta but an early access version is available. In addition, all updates are included for 12 months. Furthermore, the price after Early Access will be 399 EUR. License Options: Perpetual license for Form•Z Pro or Form•Z Jr. Built for artists, designers & jacks-of-all-trades, our 3D rendering software helps you visualize anything imaginable. Undoubtedly, you will save time and create your best work with tech from Chaos Group. License Options: Standard license includes 1 Render Node. 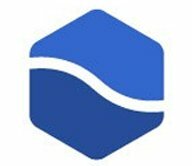 Additional Render node licenses are available. Additionally, rental options and academic licensing are available. Price: Starting at $695, depending on host support. News: Chaos Group showcases breakthroughs in GPU rendering – Post Magazine talks to Chaos Group demonstrated new performance breakthroughs in GPU rendering and real-time ray tracing at the latest GPU technology conference. Chaos Group is working on a new version of their V-Ray rendering engine that fully utilizes Nvidia RTX ray-tracing cores for the fastest render speeds yet. V-Ray for Blender Plug-in – Free and open source plug-in, but you must have the Universal Render Node installed. Laublab VrayforC4D – Chaos Group has made V-Ray for Cinema 4D an official Chaos Group product. Read on to learn more and how to migrate your license. 18 January 2019: More information on Blender rendering options. 9 January 2019: Information on Corona Renderer 3 for Cinema 4D and replaced all videos after a bug blew them all away. 18 December 2018: A huge update to this document with new information on U-Render, Redshift. V-Ray Next for 3ds Max, cebas finalRender drop 2, Corona Renderer, and more.